Two youths have been arrested after searches were carried out in Northumberland and North Tyneside. 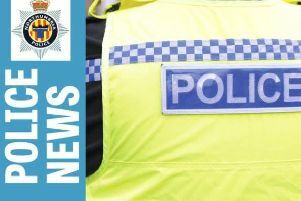 At 1.20pm on Monday, December 8, police were informed a number of substances had been found inside an address in Melrose Avenue in Seaton Delaval. A search was carried out of the property and a number of items were taken away for examination. Tests are being carried out to establish what the substances are. A second address in Longridge Drive in Whitley Bay was also searched, and two youths aged 16 and 15 have been arrested. Superintendent Mick Paterson said: “As a result of concerns that had been raised, a search was carried out of the property. “Tests are being carried out on the substances, however, as individual items they are believed to be innocuous.